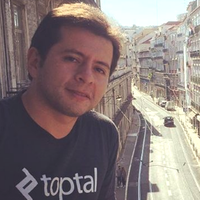 Toptal is proudly sponsoring The WordCamp Rio de Janeiro, an annual conference for WordPress users, such as bloggers, designers and developers, residents throughout the state of Rio de Janeiro. In the event occur lectures and discussions related to what is most current in the world community of WordPress. WordPress is a content management system (CMS) most popular in the world, used by more than 24% of all currently existing sites. Some of the participants are professionals and most notable users of the market, including designers, programmers, digital content creators and bloggers.